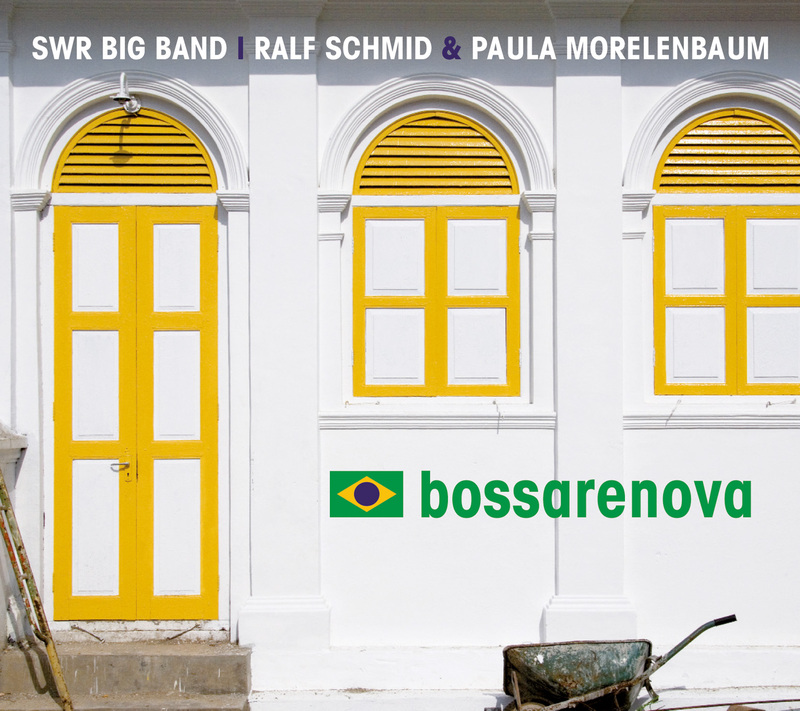 bossarenova started out in 2009 to celebrate the 50th anniversary of Bossa Nova. Its title already describes the approach being taken by arranger/producer Ralf Schmid, to whisk away the cobwebs from Bossa Nova, to restore with the help of the SWR Big Band and the beautiful voice of Paula Morelenbaum what is worth preserving in structures and to use an inquisitive eye to unearth compositions inseparably linked to the success story of Bossa Nova. Recorded in Rio de Janeiro and Stuttgart, bossarenova presents timeless pieces by Antonio Carlos Jobim or Jorge Benjor and rescues the beautiful “Tempo de Amor” by Baden Powell and Vinicius. Even classical compositions of Robert Schumann, Heitor Villa-Lobos or the Lennon/McCartney classic “Blackbird” get a new Bossa Nova outfit and „Setembro“ by Ivan Lins features german trumpet ace Joo Kraus in a velvet-like flugelhorn performance. The album had great success in Europe and Brazil. Paula, Joo and Ralf performed with the 16 great musicians of the Grammy-awarded SWR Big Band on festivals in Germany and Switzerland.